Off the coast of northeastern Malaysia, a paradise of golden sands with tranquil azure waters await. 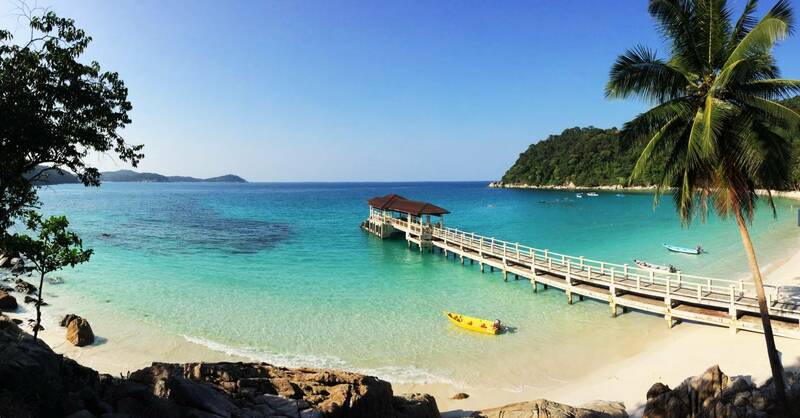 The Perhentian Islands are a group of coral-fringed islands off the coast of the state of Terengganu, where some of the world’s best diving spots, pristine beaches and romantic hideaways can be found. Perhentian Island Resort, located on the biggest island of the archipelago, offers visitors an amazing vacation experience. It is a private resort built on 25 acres of natural rainforests and a pristine beachfront with breathtaking sea views. From idyllic beaches, natural forest splendours all around to a host of exciting activities, adventures and mouthwatering cuisine, the perfect retreat to reenergize yourself .